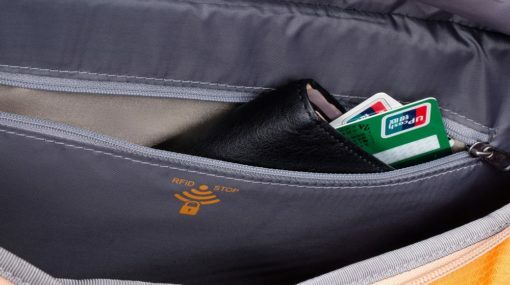 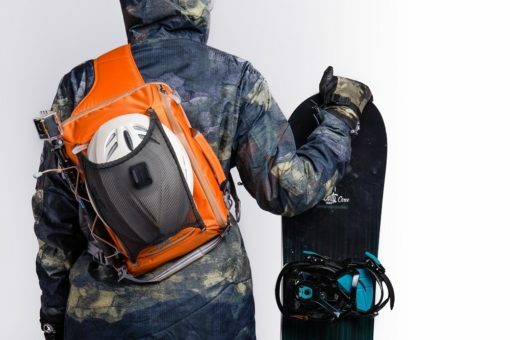 The hands-free compact sling bag to easily take your snowboard anywhere you go. 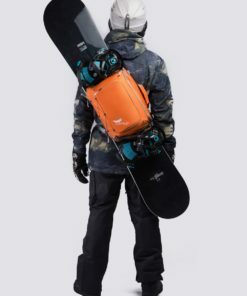 Forget about bulky snowboard bags and skateboard bags that weigh on you and make your snowboard hit your legs while you’re walking. 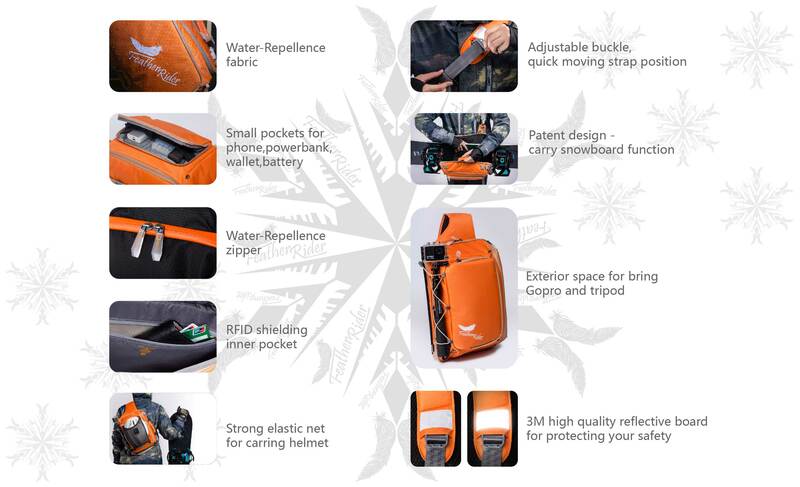 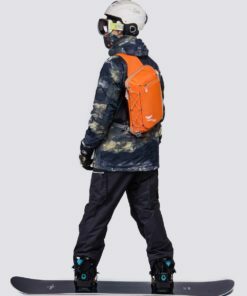 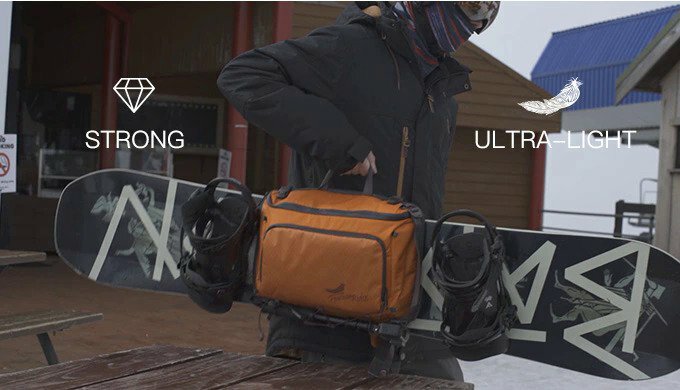 The Feather Rider is the world’s first ultra lightweight and compact multi-functional sling bag that lets you easily, safely and comfortably take your snowboard, skateboard and other belongings anywhere you go—even if you go snowboarding while carrying it! 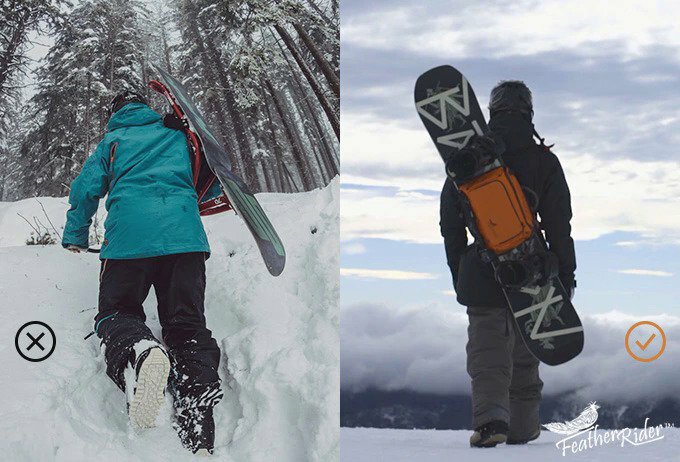 When you go on to your snowboarding or skateboarding adventures, the last thing you want in your way is something that slows you down and resists the natural motion of the adventure. 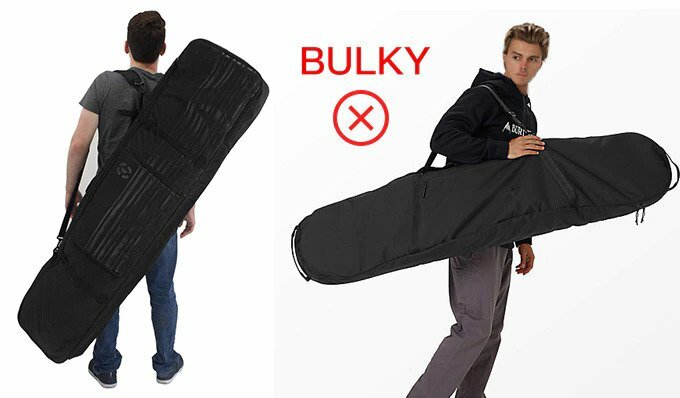 That’s why those bulky snowboard bags don’t appeal to you. 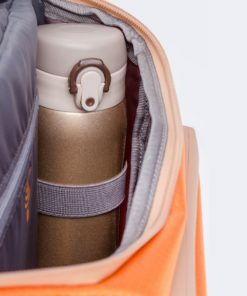 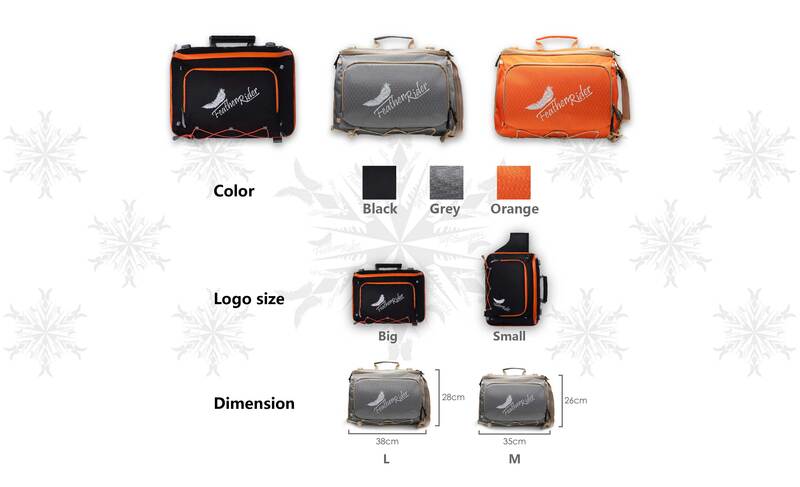 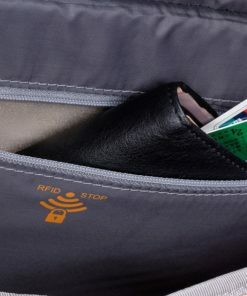 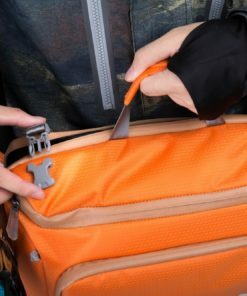 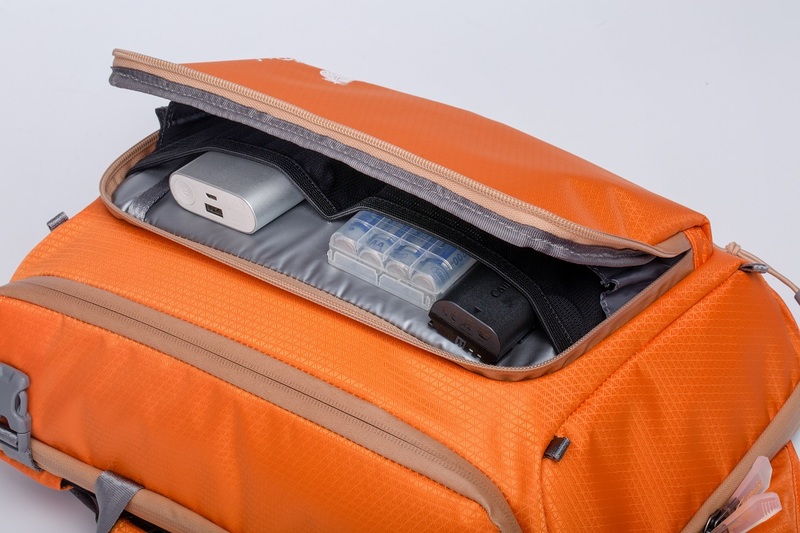 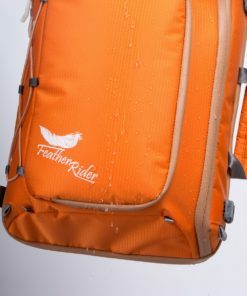 What you need is a bag that is as light as a feather and not heavy and cumbersome. 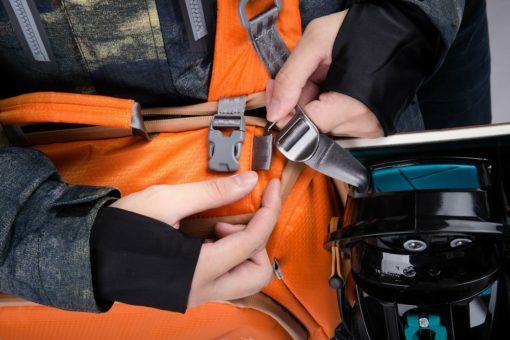 That’s why we created the Feather Rider, the world’s first extremely compact and ultra lightweight sling bag that lets you easily carry your snowboard or skateboard in a safe and comfortable way without even thinking about it. 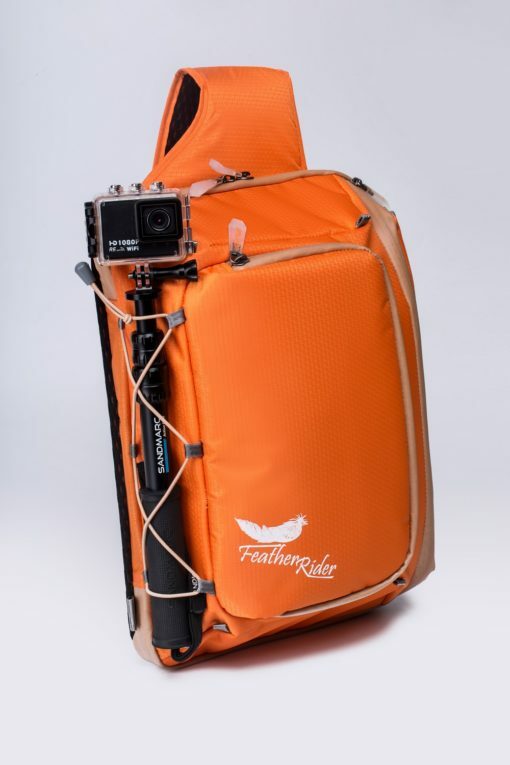 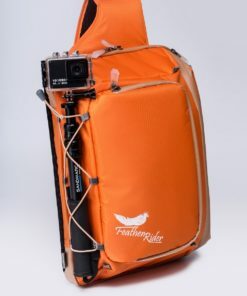 With the Feather Rider, carrying your board, as well as other belongings, such as mobile phones, a water bottle, a wallet, batteries and even your GoPro, couldn’t be easier, and hands-free! With its special design, the Feather Rider has been developed to let you carry your board and other essentials you need in a way that’ll make you feel you don’t have anything on you—just like you always wanted! 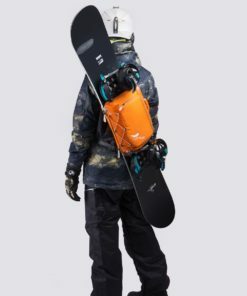 No, that’s not a contradiction. 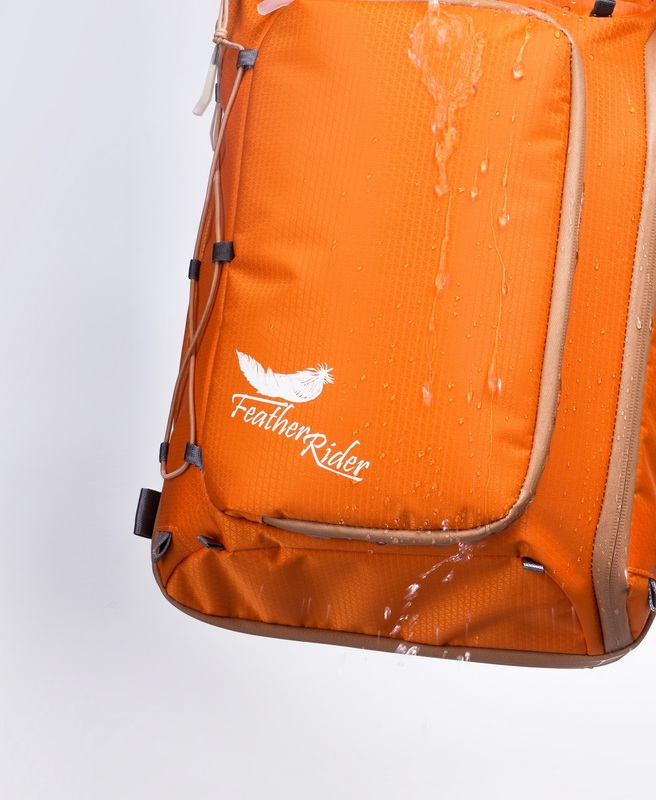 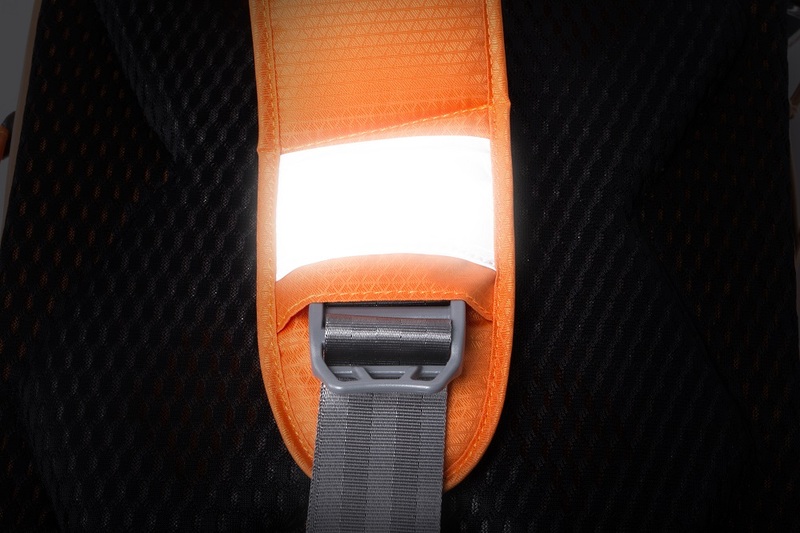 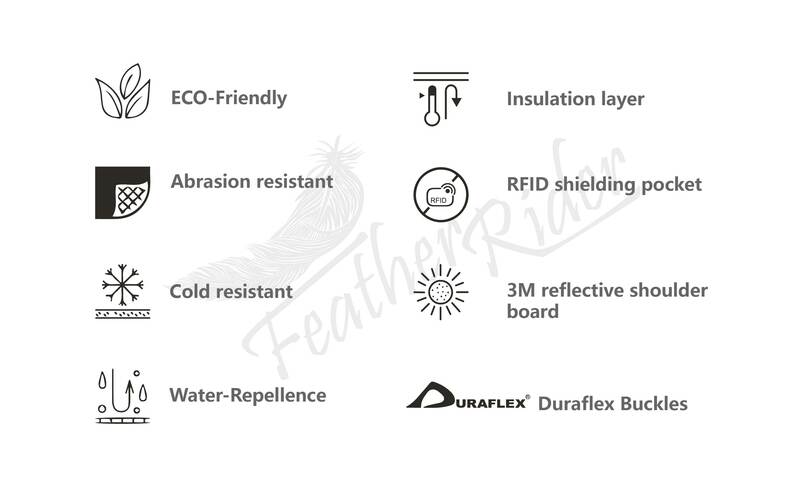 We designed the Feather Rider to bring together two different but equally important needs. 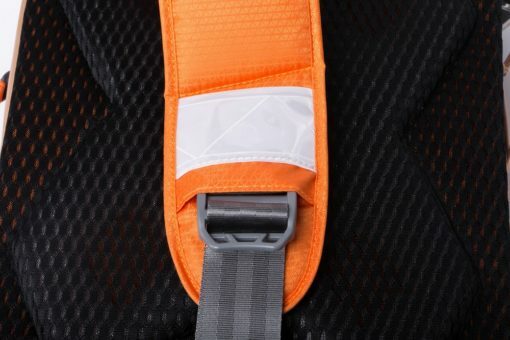 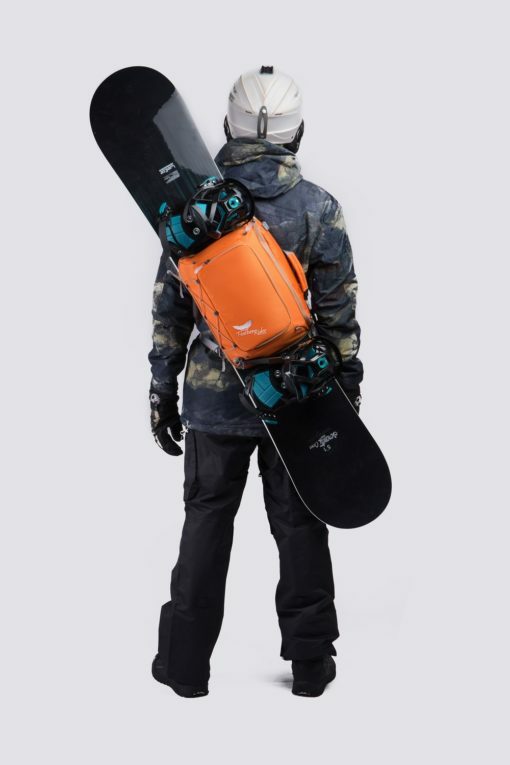 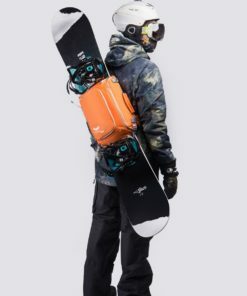 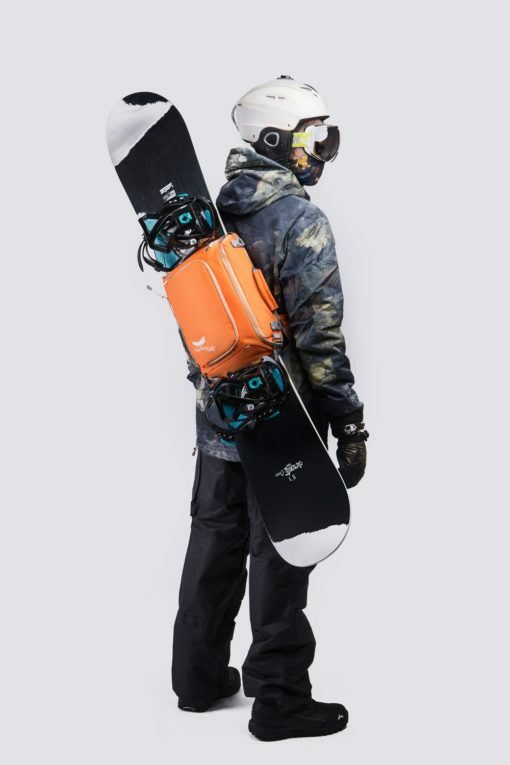 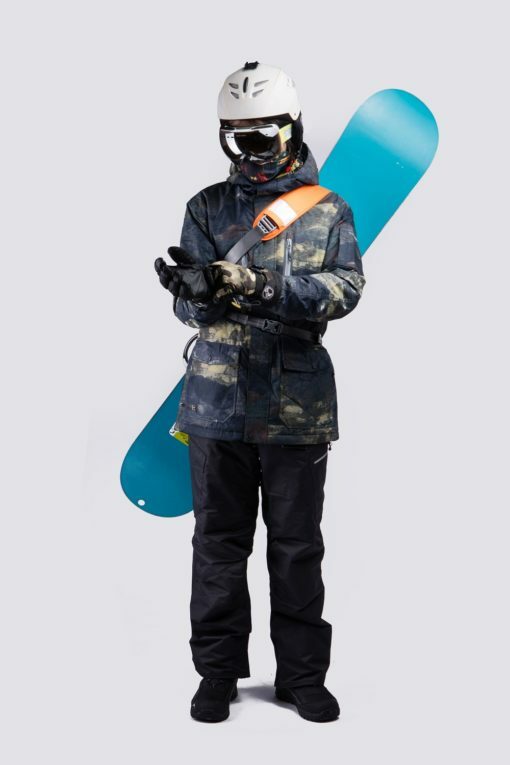 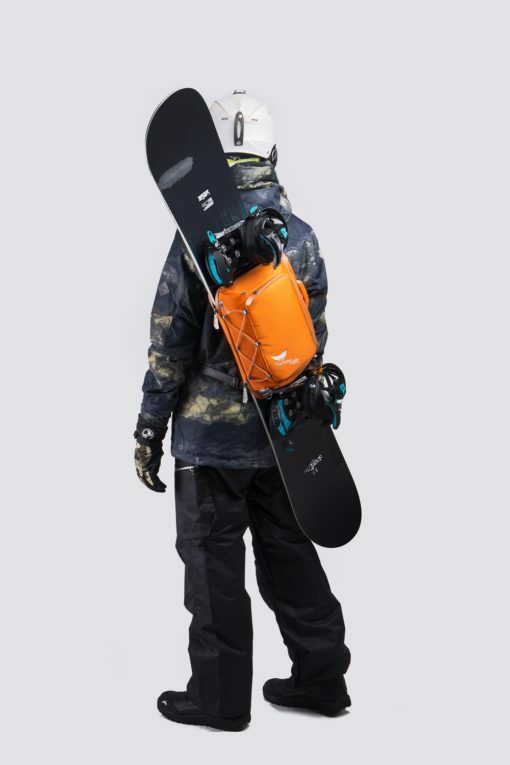 The Feather Rider is extremely strong, which means that the 6-8kg snowboard and the fixator can be easily carried with the unique cross body design that makes the snowboard form a special angle to the ground, so it will not bump against anything while you’re walking. 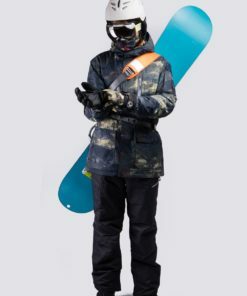 Yes, carrying a snowboard or a skateboard in any other way almost always means that your board will hit your leg… or people around you. 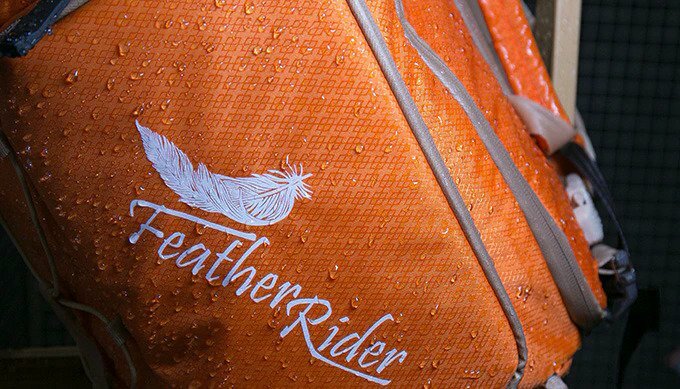 Well, not with the Feather Rider, though! 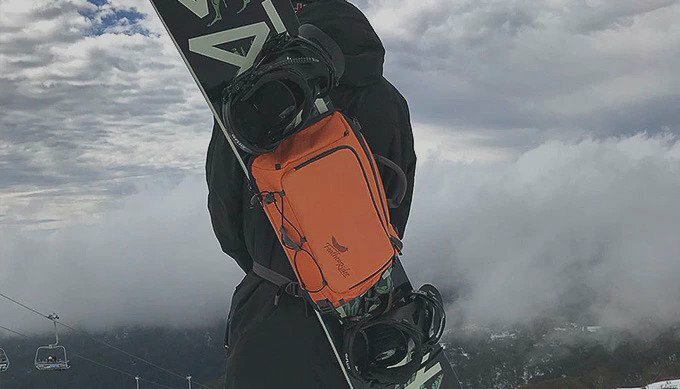 Our uniquely designed sling bag accommodates your board in a way that lets you walk and run without bumping against you or anyone else. 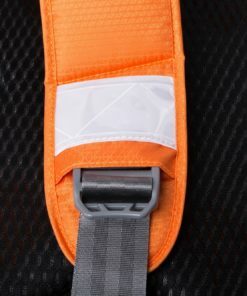 So, no one will get hit! 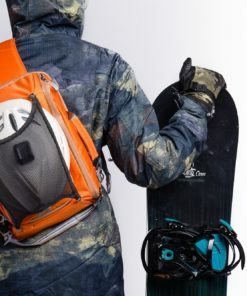 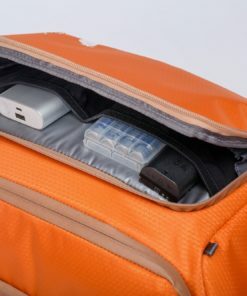 Our unique design sling bag accommodates your board in a way that lets you walk and run without bumping against you or anyone else. 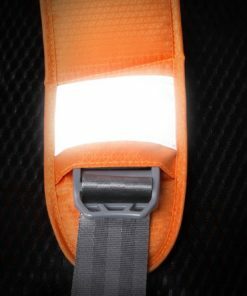 So, no one will get hit! 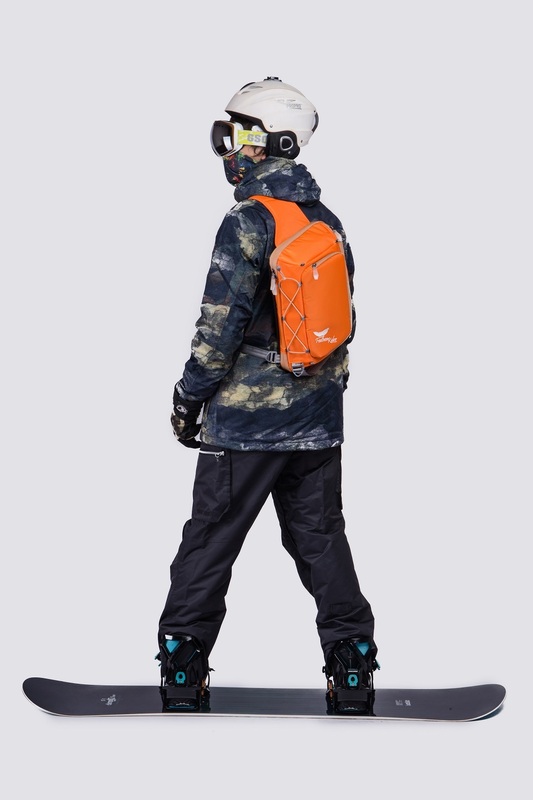 No, this isn’t a scene from “Mr. Bean” or “Modern Family”. 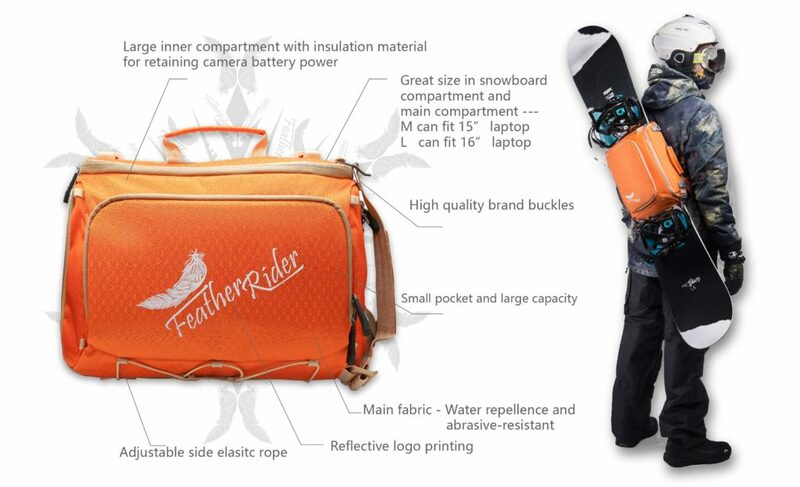 The Feather Rider really lets you carry your bag while snowboarding. Plus, since the bag stays stable and does not swag, you can just enjoy the power shredding without worrying about it! 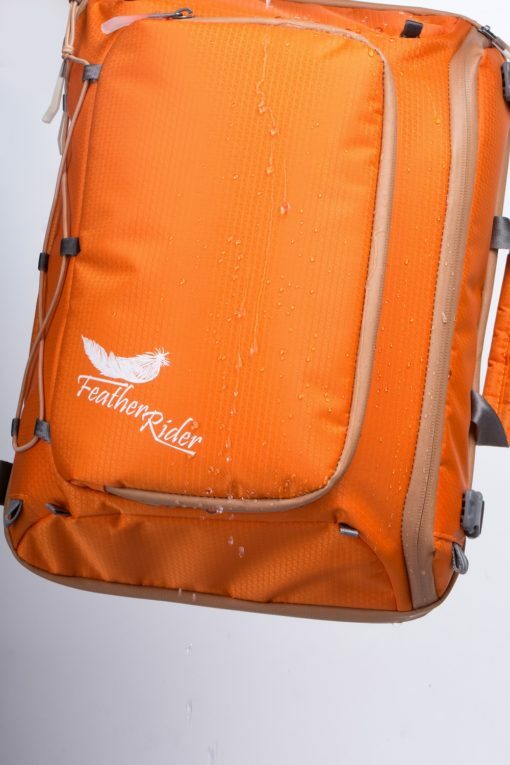 Your Feather Rider won’t just be there for you in your snowboarding and skateboarding adventures. 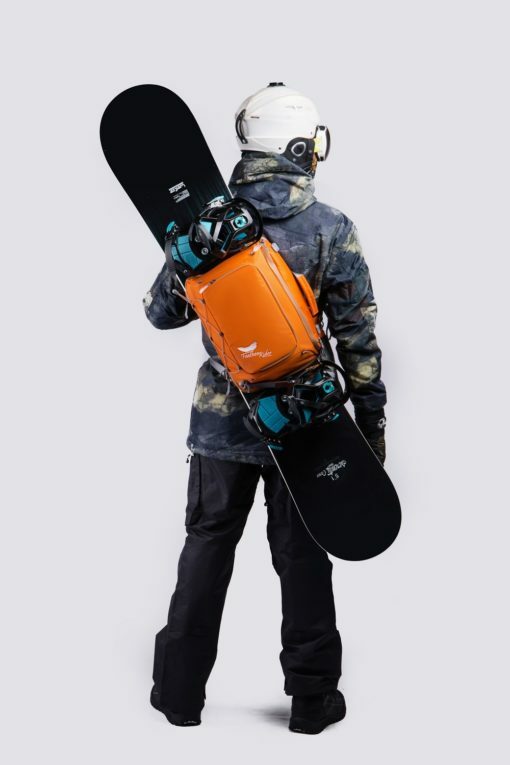 That could be our motto. 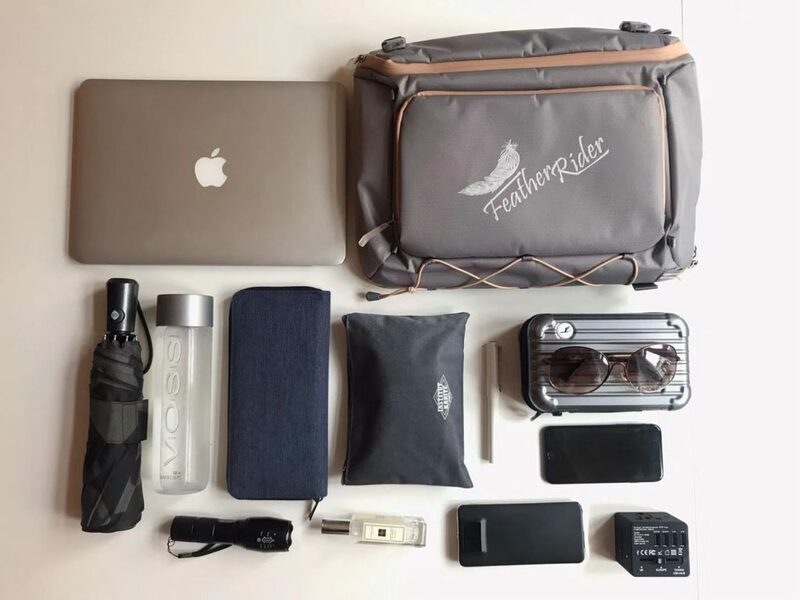 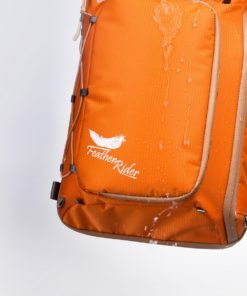 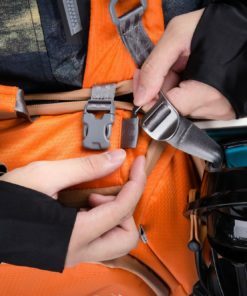 You see, at Feather Rider, we’re working to combine aesthetics with functionality to offer extreme sports enthusiasts the sturdy, stylish and smart professional apparel and accessories that are sure to become leading products in the extreme sports industry. 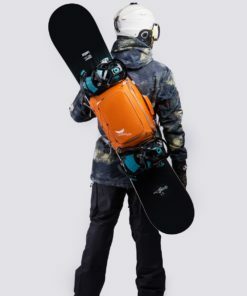 It is not only use in snowboarding activity.